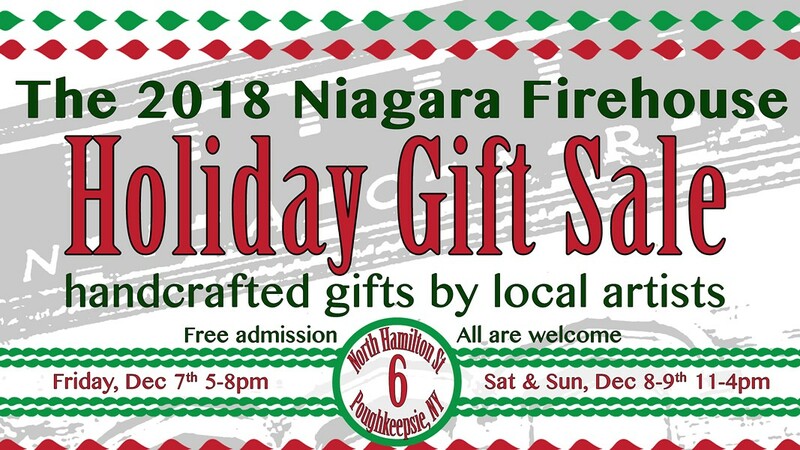 The Niagara Firehouse is back this year for the Holiday Gift Sale! Featuring the various work of talented local artists including: Jeff Johnson - wood worker Jeep Johnson - glass artist Christine Owen - ceramicist Cory Crose - soap maker Angelo Estrada - mixed media artist Karen Feldweg & Kaitlin Feldweg - textile artists ...and more! All are welcome, and as always, guest admission is FREE! Shop Handmade with us this Holiday Season. Join us Friday for the Open House and reception with refreshments and merriment.